The form of communication is emojis. 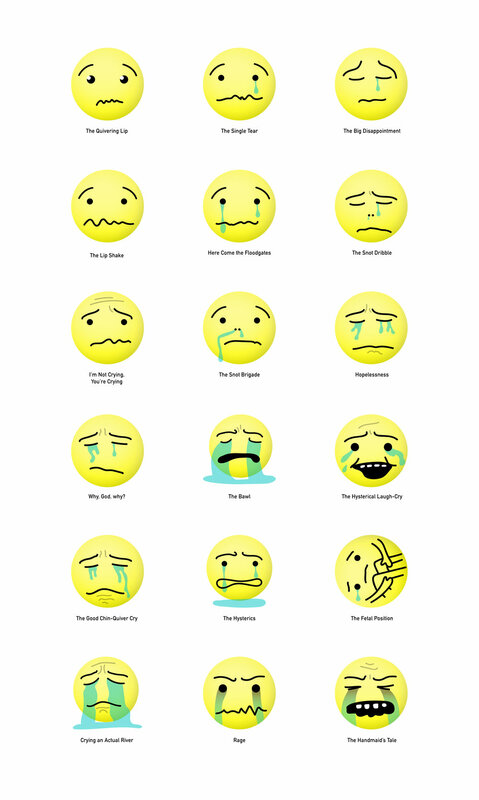 This sticker pack includes 18 ugly-cries ranging from "Trying to Hold it In" to "Hysterical Laugh-Crying" to "Fetal Position Tears" to "Rage-Cry". Download it from the iMessage App Store by clicking this blue icon in your iMessages and searching for "Emojional". Or by tapping this button if you're on your phone.